Bizarre footage showing what appears to be a flying saucer-like UFO hovering above a town has sparked an online controversy. Stunned eyewitnesses filmed the phenomenon with their smartphones in the small town of Progreso de Madero in the Quecholac municipality of central Mexico's Puebla state. 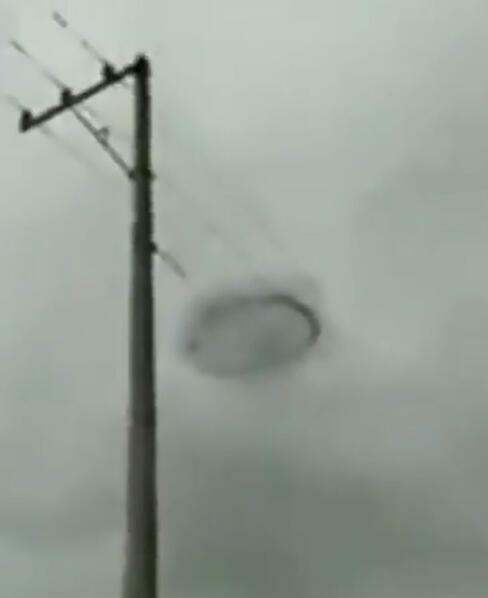 The footage, which shows a huge black ring hovering in the sky, left local residents baffled. Some were convinced that it was a flying saucer while others, pointing out that it was partially enveloped in cloud, thought it was a weather-related phenomenon. Eyewitnesses can be heard in the background of the video trying to explain the apparition. One woman asks: "What is that? ", and a man replies: "A flying saucer?" Another woman speculates: "It's a rain formation", but the man counters: "No, it's not, it's a black wheel", and the woman notes: "It's going up." The black ring quickly disappeared from view and there is still no official explanation for it. 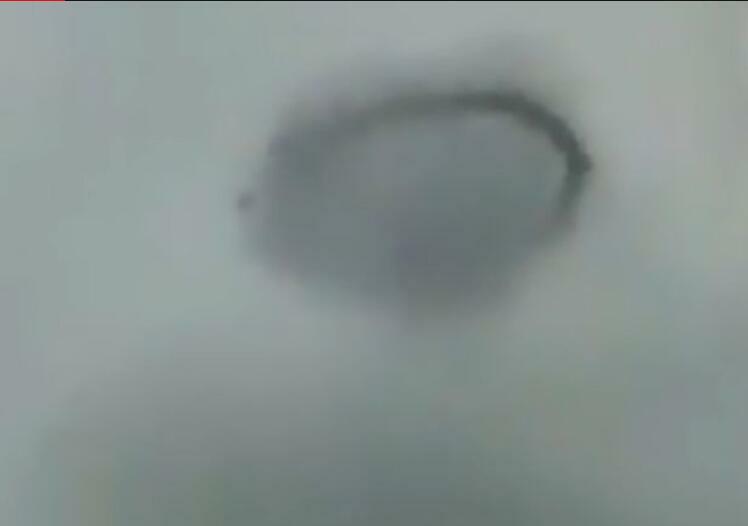 Netizen 'Alejandro Lopez Robles' was convinced he had seen something otherworldly, commenting: "It's a flying saucer." But 'Xavior Burns Red' felt there was a more natural explanation, adding: "I have never seen a whirlwind before. Impressive." There have been a number of reported sightings of UFOs above Mexico in recent months. Motorist Carlos Arriola filmed a black disc in the sky above the city of Morelia in state of Michoacan in central Mexico in April. And a 'fleet' of seven or eight shining lights were seen flying over the US/Mexico border at Tijuana in January.